Rich, Chocolate, and Gooey Chocolate Fudge Cake with Matchmakers, Mini Eggs, and DELICIOUS Chocolate Buttercream Frosting! 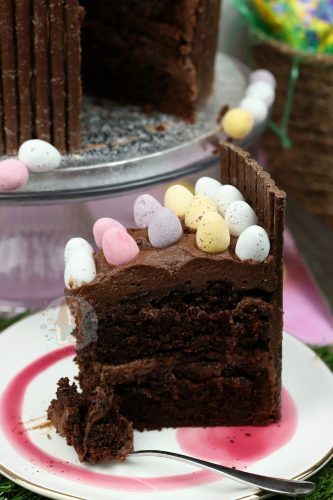 Perfect Easter Chocolate Cake! So, its March, and EVERYTHING IS EASTER. Well, not really, but there is daily Mini Egg eating going on, and I am not complaining. 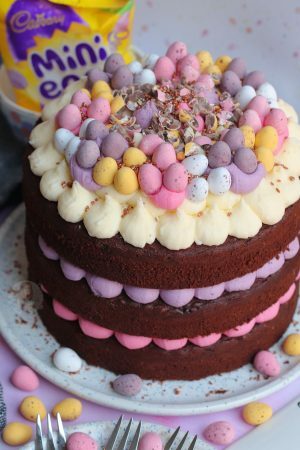 I posted my Creme Egg Cookie Bars the other day, so I thought it was time for a bit of Mini Egg goodness on the blog, with an Easter Chocolate Cake. 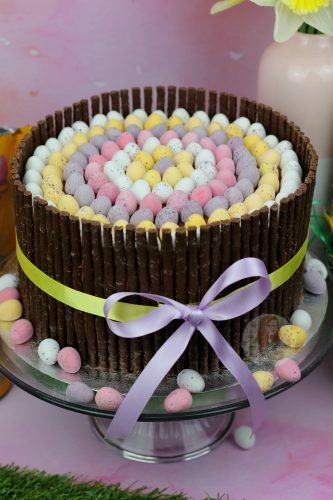 I thought this year, as I had posted my Mini Egg Drip Cake a couple of years ago, I would do another Easter themed cake because everyone loves them. Honestly, my Mini Egg Drip Cake has always been hit because its a bit different, but I thought I would go a bit more chocoholic this time. I’ve seen a few variations of these sort of cakes, and you can make them with pretty much any sweet you like. 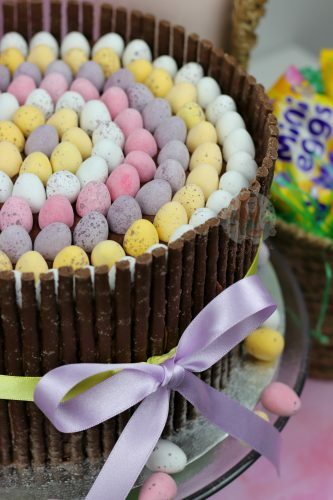 Jelly beans, smarties, creme eggs, toblerone pieces and more. Literally ANYTHING you like can go on the top, because it will look awesome. I went for some Matchmakers to decorate the sides of this cake because I think it looks awesome. I think it almost looks nest like because of how they’re basically stick like, but you can use anything else thats long and thin. For example, I have seen people use Cadburys Fingers, or any alternative! 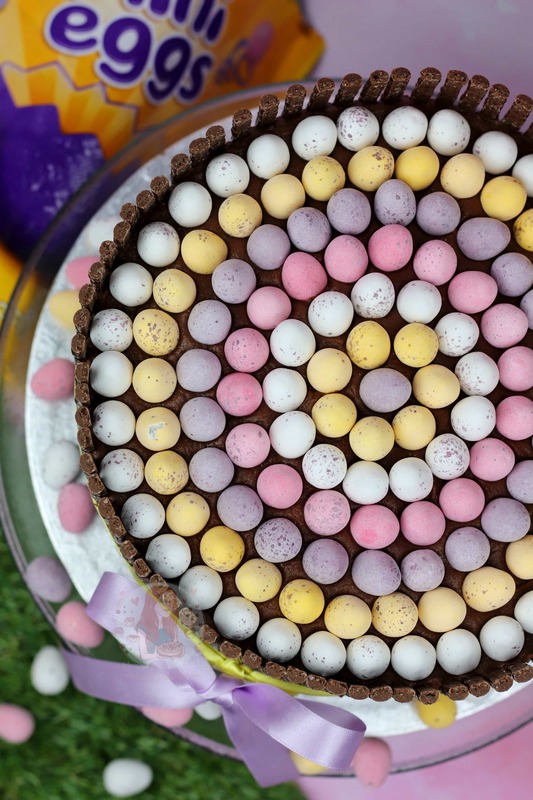 I had an image in my mind when I started to sketch out this recipe idea, and I knew I wanted to use Mini eggs.. in colour order. It’s not something I am going to deny, but it made me VERY satisfied once it was complete. I was slightly annoyed I only managed to fit one row of the pink ones, but at least they still had enough of each colour in the packets! I did use two of the ‘family pack’ size bags, but there were left overs which I used in some Mini Egg Cookie Bars. The cake recipe that I use for this particular show stopper is such a dreamy chocolatey fudgey delicious treat that its HEAVEN in a bite. I will say it is quite rich, its quite gooey, and you probably don’t need a massive slice… but you will want one. 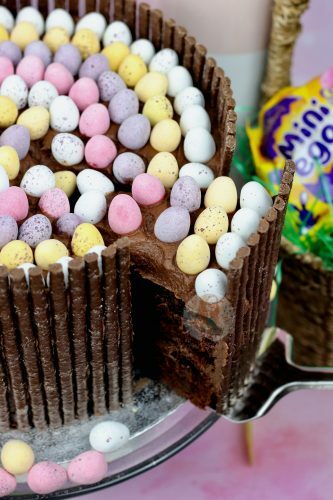 Think of the two layers of sponge, the dreamiest and best frosting in the world, the matchmakers and then the mini eggs… not for the faint hearted. I will say that a lot of people fear this recipe because it has coffee in it, but the taste doesn’t come through. It enhances the taste of the chocolate, and it makes it dreamy. It’s so important to use it, along with DARK chocolate in the base of the cake, but it still makes an incredibly light and delicious sponge so there is no need to worry. 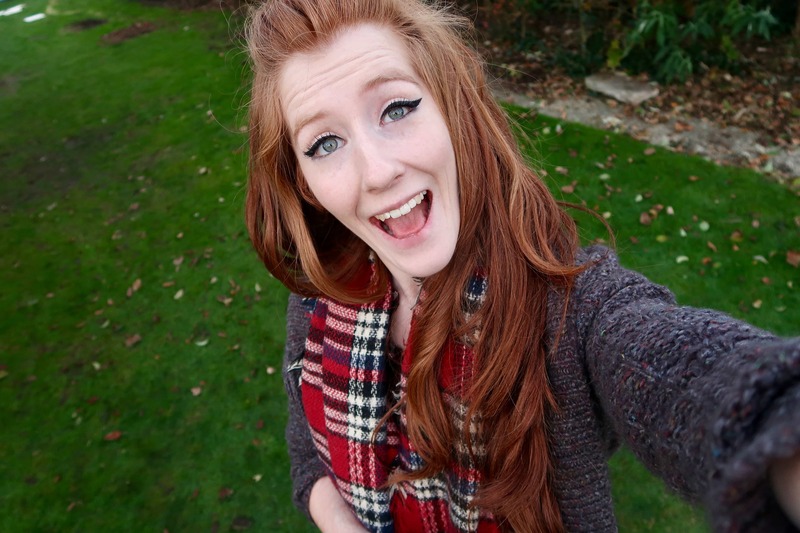 I promise you, its a tried and tested cake that is loved by many, so enjoy! Rich, Chocolate, and Gooey Chocolate Fudge Cake with Matchmakers, Mini Eggs, and DELICIOUS Chocolate Buttercream Frosting! With an electric mixer with the paddle attachment, beat the butter until its very smooth and supple (couple of minutes). The more evaporated milk you add the more runny it’ll be, and I have found about 100ml-125ml is perfect for me! Add one of your sponges to a plate, and slather on some of the frosting. Add on the second sponge, and slather on some frosting again. With the rest of the frosting, cover the sides evenly. Add the matchmakers round the edge next to each other. However, you have to do it quite quickly so that the frosting is basically the glue! You can use whatever flavour you like, and I used just over two packets. Once the matchmakers are covering the sides, use a ribbon to keep the cake in place, and basically help make it set. 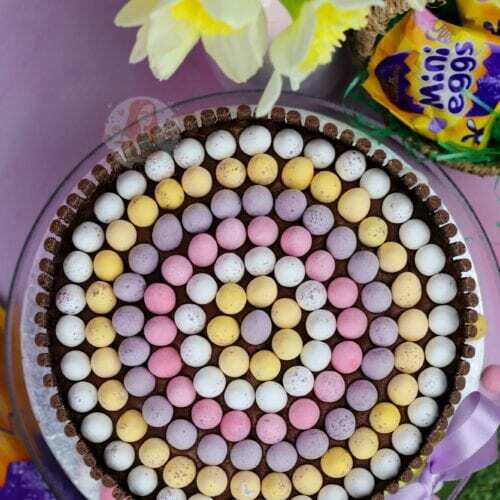 Decorate the top with Mini Eggs - I obviously went in colour order but this is optional. I used two 'Family Packs' of Mini Eggs to find the right amount of colours, but you don't have to obviously. I just think it looks very satisfying! You could use Cadbury's Finger biscuits instead if you like, but I think Matchmakers look a bit more 'nest like' for Easter! 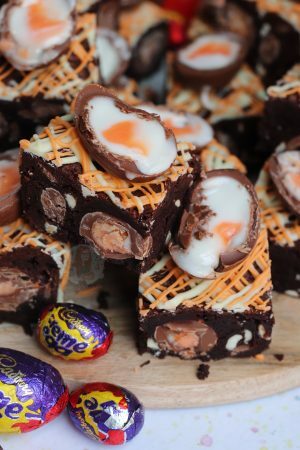 Older Next post: Creme Egg Cookie Bars! Newer Previous post: Mini Egg Cookies! It should come out clean! Sometimes can take longer to bake in some ovens! Jane, do I have to add the coffee to this. 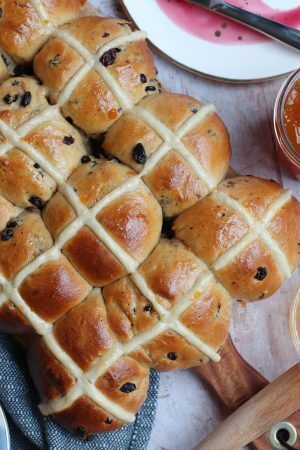 I can’t stand the taste of coffee, not even a hint but really want to make this for Easter Sunday. Yes, you do, to get the bake right. As mentioned in the post, you CAN’T taste the coffee, it just makes it much more chocolatey. Looks amazing! Just wanted to double check did you use an electric whisk at only point? I know fudge cake is quite dense, but worried if I try make a sponge without whisking loads of air into it it’ll be really close textured and solid. I only used a mixer for the frosting – never for the cake. Could you explain why in step 2, when I mixed together the butter/chocolate mixture with the water/coffee it literally curdeled in front of my eyes? £15 worth of ingredients wasted! 🙁 what went wrong? I wouldn’t think Butter, Chocolate and Coffee costs £15! And I have no idea… It’s never happened in my life! I just pour them together and mix/whisk and done! 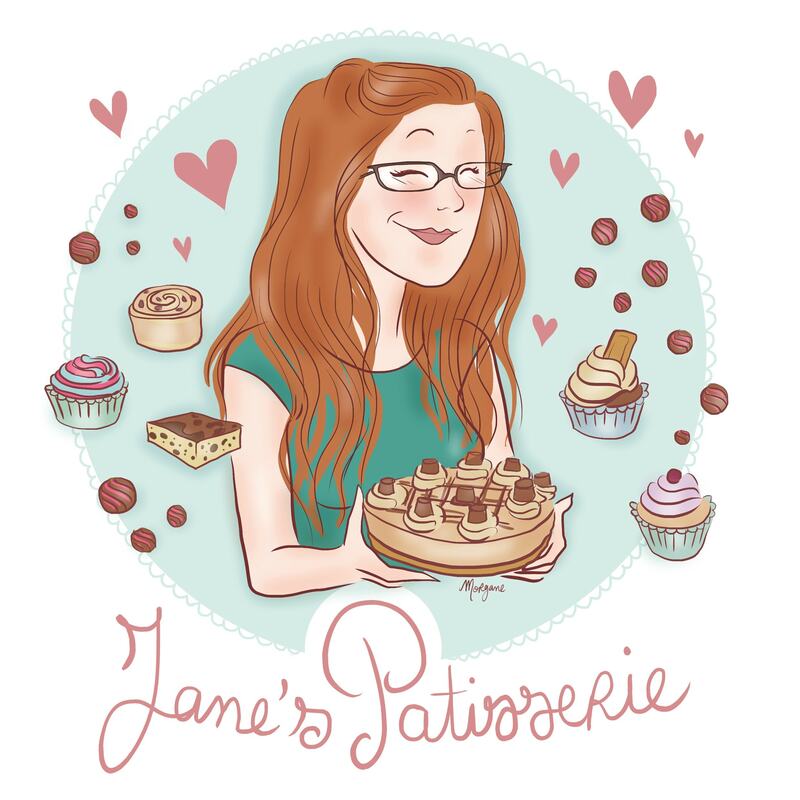 Hi Jane, fab looking cake! I just have a question about the buttermilk – when you say to use lemon juice I’m presuming you mean fresh lemon not the bottled variety? Wow, what a cake, I couldn’t help myself to only one slice of this. Thanks for sharing and happy feasting! Would chocolate fingers work instead of matchmakers with this recipe? I’m just thinking that fingers are smaller than matchmakers and I don’t want the cake to be too big for the fingers! Hi will the buttercream last for about 5 days ? I know you’ve said 3 days but will the buttercream go off if it’s kept for longer?? Yeah I would personally say 3 days is the limit as its kept out of the fridge and such so its your own risk if you eat it after the 3. Do you think this cake would work ok without the coffee? I’m thinking about making it for some kids, but don’t think they’d like the coffee flavour. Hiya, as mentioned in the post you really can’t taste the coffee. It just makes it taste more chocolatey. It’s an important part of the recipe. Can you tell us which flavour Matchmakers you used please. You can use any, I’ve made this type of cake several times and used all sorts. This particular one I photographed I used mint! 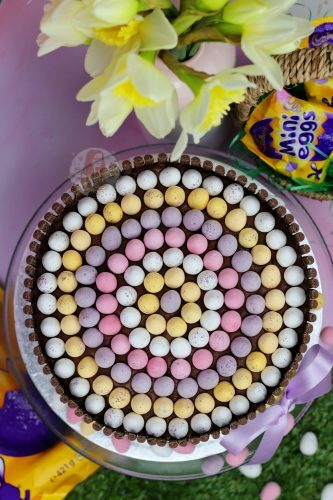 That sounds so delicious 😍 And having the mini eggs sorted by colour is very satisfying, you’re right 😉 Stunning cake! That sounds so delicious 😍 And having the mini eggs sorted by colour is very satisfying, you’re right 😉 Looks stunning!